In this season of Thanksgiving, I have more than most for which to be grateful—robust health, a profession that brings me profound joy and purpose, a beautiful home, money to meet my basic needs—and an abundance of love from my community, my clients, my husband, family, and friends. Growing up an Army Brat, I learned early-on the importance of friends—and the piercing loneliness that comes with being the perpetual new girl in school—and having none. In addition to being a gypsy-child, I was painfully shy. My friendship-making skills consisted solely of standing on the sidelines desperately hoping to be asked to play. Since I brought nothing but gawky novelty to the game, my brief friendships were always with those as socially awkward as I. 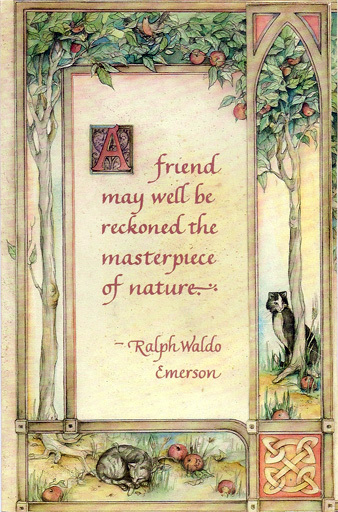 But I clung tenaciously to those friends—until forcibly ripped away. By the time my parents promised we were finally settling down for keeps, I was 13 and had attended 21 schools from kindergarten through 8th grade. I had no grasp of permanence and was wary of committing to one more relationship in which my heart could be broken. Because adolescence is fraught with drama that I never learned to navigate, I was out of high school and 17 when I first started collecting forever friends. I learned to reach out and to hold on—to be there when needed and to accept the love of others when I’m in need. I learned to trust others with my deepest truths and to feel safe sharing my authentic (sometimes crazy) self. I learned to put my heart at risk. And, although I’m a good friend, I’m not always easy. I’m still introverted, with a deep inherent need for restorative solitude. When facing personal challenges, my instinct is to hole-up like a wounded animal until regaining my strength. When I write, I go missing. 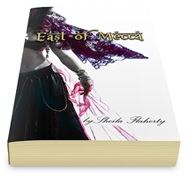 (With the journey of East of Mecca, I’ve been missing more on than off over the last 22 years!) And creating this website and writing blog posts has been a joyous, but time-consuming project—requiring vast amounts of alone time. 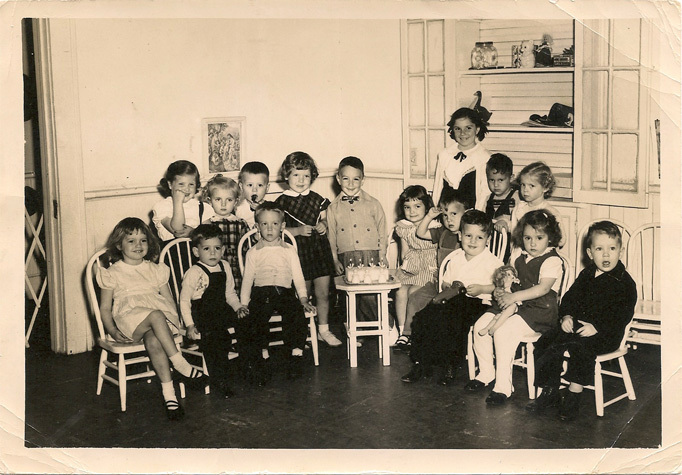 Preschool class photo, I’m seated far left. So, my closest forever friends are not only entrusted with my deepest truths—they accept me for all that I am and support my dreams by tolerating my absences and accepting long overdue phone calls without judgment or recrimination. Coming up for air this past week, after a wonderfully festive and crazy-busy few months, I started reaching out to my friends—feeling grateful as always when they reached back. Over time I will be posting essays about these people, starting now with Soul Foodie, about my very first forever friend. Right now, I’m sending out a collective thank you to those I love. My blog posts won’t always conclude with music, but Carole King says it so perfectly—I can’t resist.